In 2004, Nathan Hill fulfilled his lifelong dream of moving to New York City. A month later, everything he owned was stolen out of his car. That included three years' worth of writing from his graduate program — the original files and the back-ups. "I had the back-ups in a separate box — also in that car," Hill laughed. He can laugh about it now, because the life-rattling loss led him to a new project, a sprawling 10-years-in-the-writing, 600-page novel: "The Nix." The book is already earning rave reviews, and perhaps the most laudatory headline possible from the New York Times: "Nathan Hill is compared to John Irving. Irving compares him to Dickens." Hill, a professor at the University of St. Thomas, joined MPR News reporter Euan Kerr to talk about the book and the kaleidoscopic range of topics squeezed into its pages. At its heart, the book is a mother-son story, steeped in loss, sharp wit and dark laughs. When Samuel is 11, his mother disappears — leaving the family without a trace. He doesn't see her again for 20 years, when he's settled into his life as a college professor. Then he catches sight of her throwing rocks at a presidential candidate, her face splashed across the news. Her reappearance forces him to admit that he never really knew his mother, or the secrets she was hiding. The book takes its name, "The Nix," from Norwegian folklore, in which is a nix is an ogre-like water spirit. It can transform itself into a white horse which is irresistible to children, but when children climb on its back, the nix will steal them away. Hill carries that theme of beloved things being inexplicably snatched away (just like his three years' worth of writing) through the novel, spinning through the lives of peripheral characters and historical events as he goes. "The Nix" delves into the world of video games, cell phone addiction, the 1968 Chicago riots and the Occupy Wall Street movement. "I stuffed it with every good idea I had," Hill said. 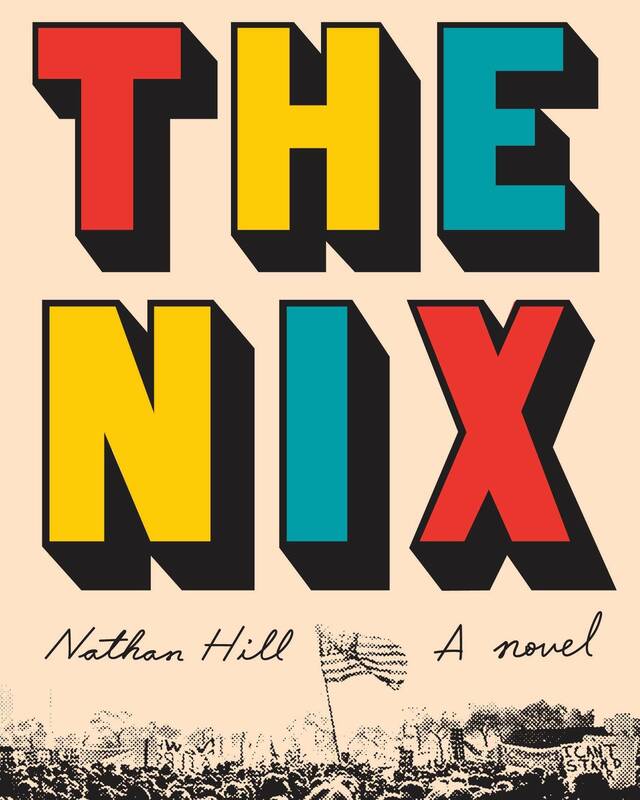 For the full interview with Nathan Hill on "The Nix," use the audio player above.